A late-round draft pick of the San Jose Sharks, Jason Demers, now with the Arizona Coyotes, has played in over 500 regular season NHL games. There have been more than a few memorable moments the former Quebec Major Junior League star has experienced, including a career first on November 15, 2009. 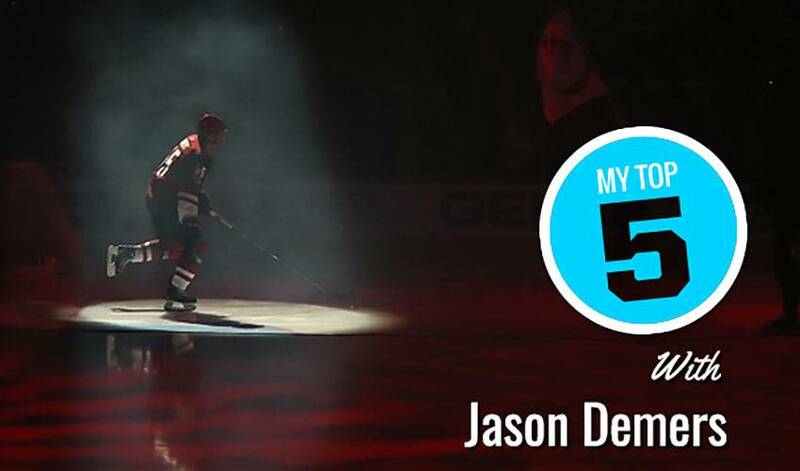 A late-round draft pick of the San Jose Sharks, Jason Demers, now with the Arizona Coyotes, has played in over 500 regular season NHL games, earning a reputation along the way as a steady and reliable force on the blue line. There have been more than a few memorable moments the former Quebec Major Junior League star has experienced, including a career first on November 15, 2009. Here are his top five, in no particular order.